Education Minister Mr. Nurul Isalm Nahid said, more than 1 lac 29 thousand new students has attend this public exam. Examine More than 10 lac 90 thousand from General education board, 2 lac 39 thousand from Madrasah education board and 1 lac 2 thousand from Technical Education board. 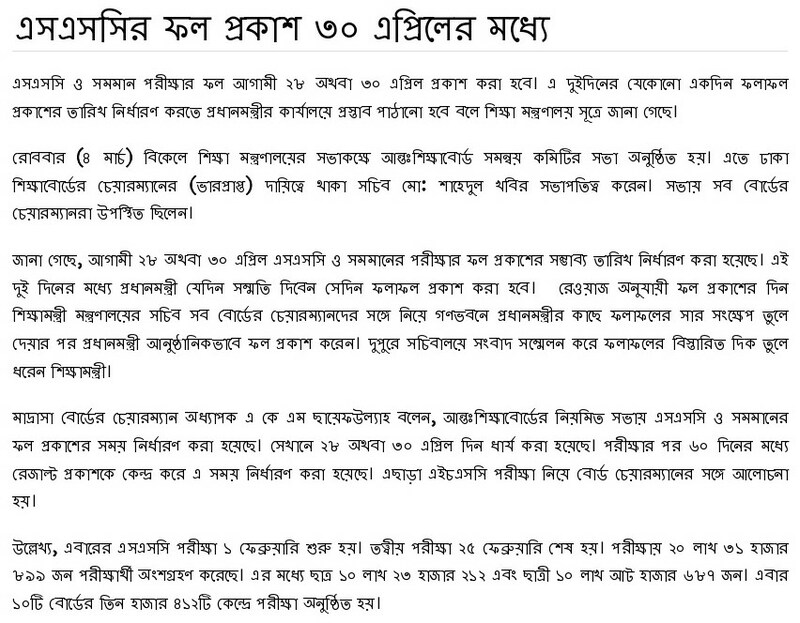 This year SSC/Dakhil exam center was 950 including all board. 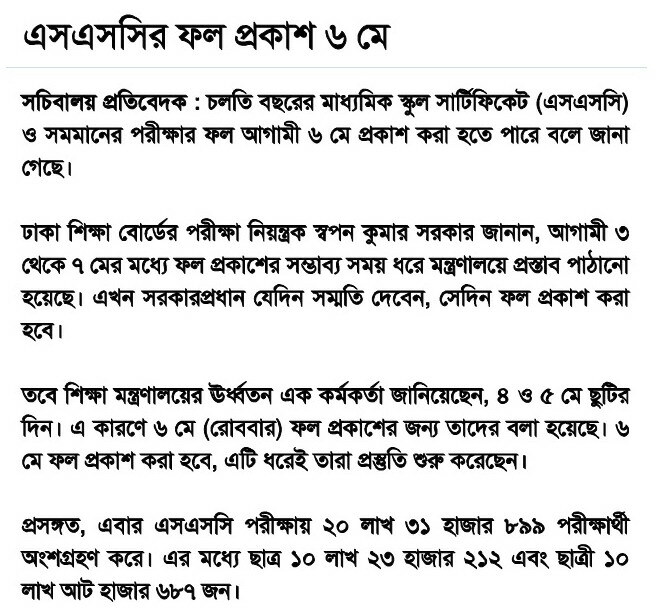 As usual board result will publish on www.educationboardresults.gov.bd web site. Students have to wait to take result from web site because huge traffic. better try to get result sms. Students will get details result with subject GPA from May 29, 2016.